Reforma 222 Tower 1 on the left, on the right Tower 2 Reforma 222. 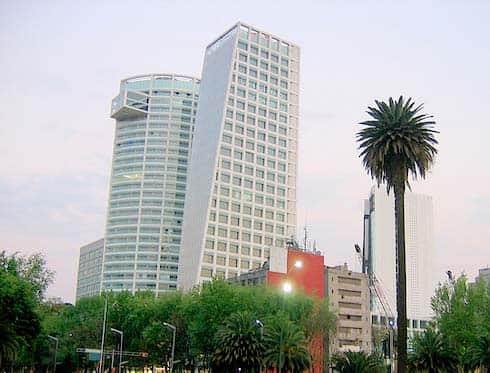 The Reforma 222 Tower is a building located inside the Reforma 222 complex on Avenida Paseo de la Reforma # 222, Juárez Colony, Cuauhtémoc Delegation in Mexico City. It will have 13 lifts (elevators). It is the sixth tallest building on Paseo de la Reforma and one of the most modern in the city. The project is funded by the Dahnos Group.